The book provides a unique contribution to the literature in this field in that the studies of decision theory and data-based decision making are integrated. 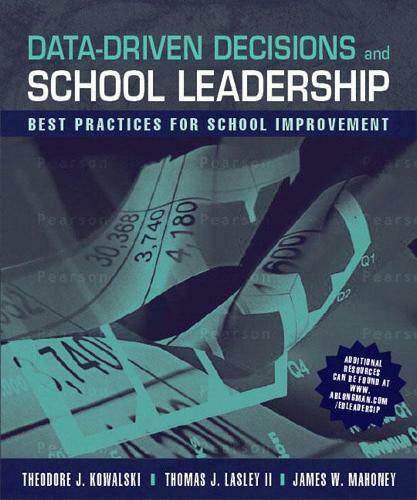 Focusing on educators assuming leadership roles in school improvement, the book's content is equally relevant for administrators, supervisors, and teachers. The book, however, is centered on data-driven decision making, both as a requirement of the No Child Left Behind Act and as a normative professional standard. Issues related to accumulating, storing, and protecting data in districts and schools also are covered. Applications in administration, supervision, and teaching are demonstrated.